Hi, my name is Gabriel McCormick. My team and I at Bozeman Dentistry have been providing excellent dental care for our patients in Montana since 2011. 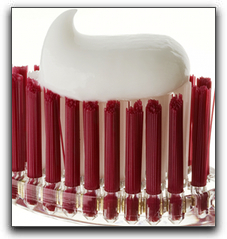 One of the important habits of good oral health is daily tooth brushing with an effective toothpaste. There is a wide variety of toothpastes available. I recommend you use one with fluoride and make sure it has the ADA seal. This ensures that the toothpaste has been tested, claims are being met, and the ingredients are correct. Bozeman toothpaste users have no excuse for not brushing their teeth daily with the toothpaste we have available today. The experienced staff at Bozeman Dentistry – Gabriel McCormick, DMD want to help all Montana smiles be whiter and brighter. Contact us today at 406-586-7661 so we can answer any questions you may have about tooth whitening , invisible braces, or cosmetic dentistry. Bozeman Dentistry – Gabriel McCormick, DMD provides cosmetic dentistry, cosmetic dentistry, restorative dentistry, and Invisalign clear braces.